A tank top dedicated to the fiercely loyal counterparts of our favorite Winter-fellas & -ladies! 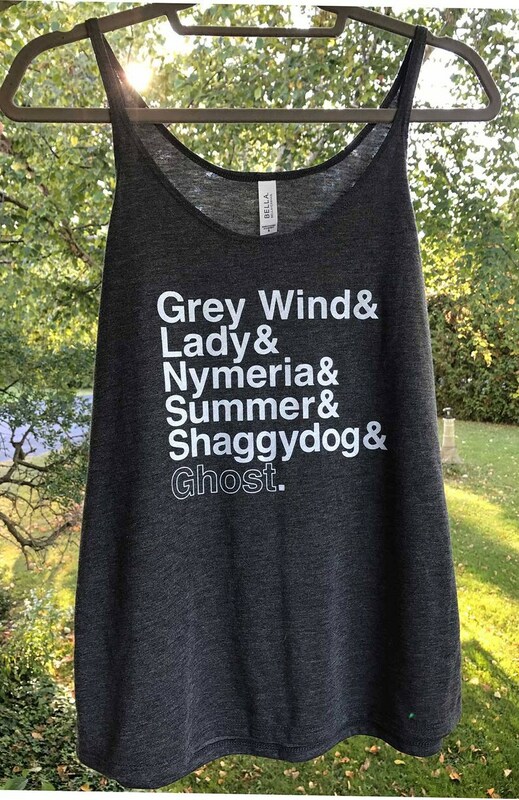 Grey Wind & Lady & Nymeria & Summer & Shaggydog & Ghost. Love the tank and it came in time for the premiere!!! Love my direwolves!